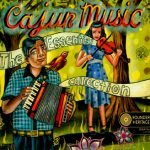 An installment of Rounder’s 30th anniversary celebration, this album showcases the best of Cajun music available on the label since the beginning. 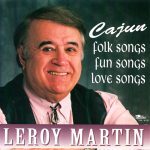 This album attempts to cover all of the major aspects of Cajun music over the course of the track listings. Here, the time line stretches from the very beginnings of Cajun with a cover of Amédé Ardoin’s old work by Geno Delafose & French Rockin Boogie, up to the present day in the Bluerunners’ rock-informed sound, with all points in between touched upon. The fusion of Coteau provides a nice halfway point, with a deep influence of country thrown in, and the next group featuring Michael Doucet, Beausoleil, is also featured with an even higher step of fusion, with electric guitars working their way in. Where necessary, the accordions play a stunning bit of work, and the fiddles stay in the rhythmic accompaniment section. Where necessary again, the vocals take a strong stance in front of the instrument lines. 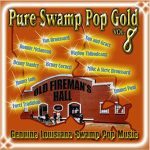 All of the greats of contemporary Cajun music are represented with a song or two, and all of the styles that have come and gone over the history of Cajun are represented by an artist or two. As far as introductions to the genre are concerned, this album is certainly a worthwhile pick. (Adam Greenberg, All Music Guide) French & English translations of each song enclosed. Released in 2002 as part of the Rounder Heritage Collection, 19 tracks.